Nowadays with genre’s frequently pulling elements from one another it’s not uncommon for a producer to be proficient in making more than one genre. With that being said, not many have been able to do that with quite as much success as Nitti Gritti. From bass house, to dubstep, to trap, to everything in between, the Miami native does it all. 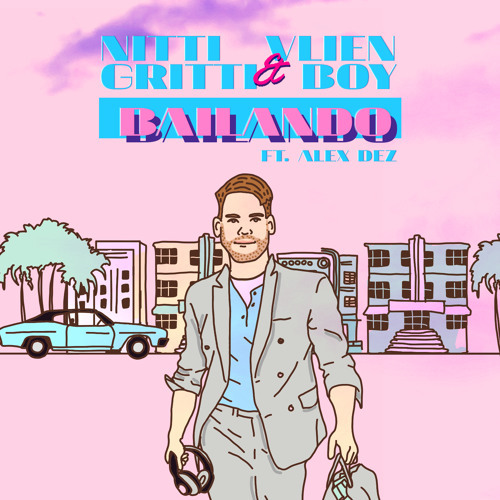 And now he’s celebrating his Miami heritage with his first Spanish language track, ‘Bailando‘ together with Vlien Boy (pronounced Alien Boy). And just as you’d expect, the track is full of Latin vibes. From Alex Dez’s vocals to the Latin trumpet samples this track does Miami justice. And the best part is he’s releasing the track as a free download. So give it a listen and grab your own copy in the link below. Previous articleAre Ghost Producing Services Actually Turning Aspiring DJs into Dance Music Stars?